A no-charge evaluation is the starting point. At that visit, Dr. Cohen will examine your mouth and listen to your concerns and then determine if you are a candidate for Cohen Clear Smiles for your orthodontic needs. If you are, at your next appointment, photos, x-rays and a digital scan of your mouth will be done. From this information we will fabricate a series of computer generated clear retainers that will gently move your teeth to the desired position. 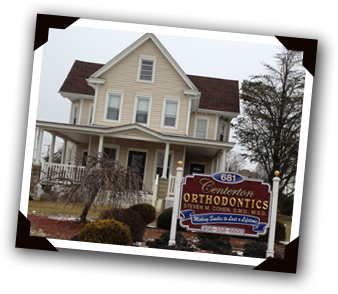 You will visit the office every 4 to 6 weeks to have your progress checked and get your new set of retainers. Our Financial Coordinator will guide you through the financial aspect of your treatment. We will work with you to develop a plan that works within your budget. For those of you with insurance, we will ask you some questions when you call for your consultation. We will then research your insurance coverage, so we will be able to let you know what your benefits will cover at your consultation appointment. You may qualify for NO DOWN PAYMENT, NO INTEREST financing through CareCredit. It’s easy to apply. All it takes is a phone call, answer some simple questions, and approval is immediate. Remember you’re never too old or too young to enjoy the life-altering results of orthodontics. All of us here at the Office of Dr. Steven Cohen are dedicated to taking care of your orthodontic needs, using the latest technology and advances available. We understand that every patient comes with different needs and expectations and we will do our best to address each of them. You’ll receive the highest quality of personal attention and the highest quality orthodontic care to achieve the finest results possible. Want to learn if Cohen Clear Smiles is right for you?